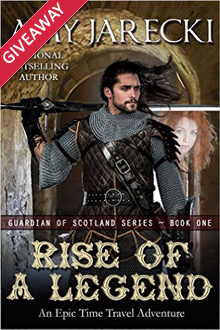 The Highland Commander $25 Amazon Card and Print Book Giveaway From Amy Jarecki! It's time to check out Amy's 2nd book in her The Highland Lords series and get entered to win a $25 Amazon Card and print book from her! 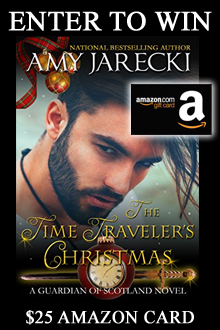 Join us as Amy Jarecki gives away a $25 Amazon Gift Card and a Print Book! Another steamy Scottish historical romance by Amy Jarecki set in 1493: After five years of marriage, Lady Helen has failed to produce an heir. Grieving from the death of his wife, Lord Colin Campbell listens to the cries of his newborn son whilst penning a missive to the king. Born with the mark of the devil, Merrin has been hidden on the islet of Eilean Fladda for near twenty years.